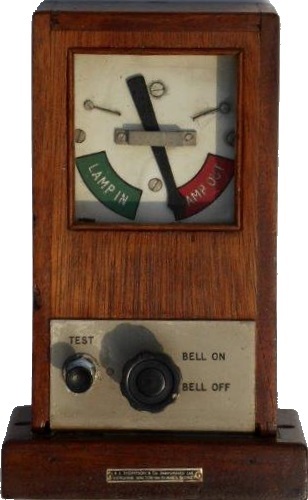 Lot 112 BR (W) Oil Signal Lamp Repeater / Indicator by R.E. Thompson & Co, Walton on Thames, Surrey. Compact 1959 Pattern with rotary switch and test button. Full working order.